As some of you may know I'm hopelessly addicted to World of Warcraft an MMORPG (Massive Multiplayer Online Role Playing Game). I've been playing for nearly 5 years now and I love the game. I have 8 level 80 characters plus 3 more in their mid 70s. My husband and I met through the game and it is a part of our lives. One of my sisters likes to give me crap because we pay $15 each every month to play this game. But $30 once a month for unlimited entertainment is so much cheaper than dinner and a movie that we'd only get to do once a month. Recently Blizzard (the company that owns World of Warcraft) released a new feature for WoW and their other games. 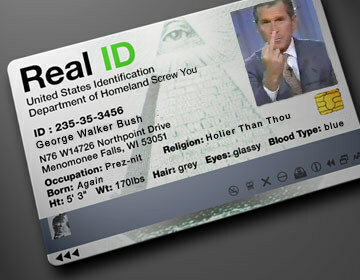 Real ID. Real ID was a revolutionary new chat system for the game. Friend your friends and you can now talk to them no matter what character they are on no matter if they are of a different faction, on a different server, or even in a different Blizzard game. I became really excited about this as I love to randomly create new chacters on other servers to play when I get board. And now I'd be able to do it and still keep in touch with all of my friends who play the game. My one issue with the feature is that it shows our Real Life First AND Last names to those we friend. For me this wasn't a huge deal as those I've friended already know my name from being friends with them on FaceBook and I've not friended anyone I don't trust. Though there are those who have sat and friended every person they've ever met in the game. But I do have a friend who is not keen on the idea and would prefer to at the very least keep her last name private. So for her, she will not be using the Real ID system until they allow us to pick a universal nickname to use. But it doesn't look like this is going to be an option. In the past couple of days Blizzard has made a new announcement stating that starting with the release of Cataclysm (the next expansion)and their new game Star Craft II they will introduce a revamped community forum system. This new forum system will utilize Real ID for posting purposes. This means to post on the offical World of Warcraft community forums all users will have to post using their real First AND Last names. Doesn't sound like a big deal? Well it really is. Just giving a person your first and last name opens you up identify theft and stalking or worse. Over the years we've heard stories of people being slighted in game and tracking down the person who to harm them. Someone really good with computers wouldn't even need a real name to track someone down. But now Blizzard will be making it so that anyone with a computer can track anyone down as they will be displaying our names for the world to see. Read this blog here about how a player found another in just 20 minutes after giving out his name on the forums. This is a very real problem and many people have already canceled their accounts over it. Blizzard's response is that the forums are optional. Not True. Much of the customer and technical support for the game happens on the forums. This means to get any help a person will be forced to hand out their real name. This just isn't logical. They say the reason for the change is to clean up the forums. To make people accountable for what they say to stop the flaming and the trolling. No more hiding behind level 1 alts. I call BS. Making a user pick a nickname to use on the forum would serve the same purpose and still protect the privacy of the players. They think real names will stop the trolls? Never. People who troll don't care if others know who they are. They'll still troll. Rather than forcing out the trolls all this will do is force out those who do make well thought out constructive and informational posts on the forums. All that will be left are trolls. I find it interesting that while looking for a photo to add to this post that I found out a few years ago the federal government here was trying to pass a Real ID law. This law would have forced all citizens to have a federal real ID in addition to their state drivers licenses. These ID's would be required to board an airplane, enter a government building, a state/federal park/preserve, etc. It was highly opposed as an invasion of privacy and likened to the days of WWI and WWII in Europe where people were required to have papers on them at all times to prove who they were. If simply being forced to carry another card around with our names on it is an invasion of privacy how is forcing our real names to show on a public forum any less of an invasion. I was already planning to play Star Wars: The Old Republic when it comes out. Guess I won't be alone.